After a long wait, the Alberta Human Rights Commission has finally granted a Christian group some justice in that the commission has, at last, accepted the group’s latest attempt to file a complaint against Calgary’s Mayor Bronconnier and the City of Calgary’s Clerk’s Office for denying them services on the basis of their religious beliefs. Street Church Ministries has indicated that they feel that the acceptance of their complaint by the commission is a step in the right direction, and could reflect a shift of opinion of human rights case workers regarding complaints filed by Christians. 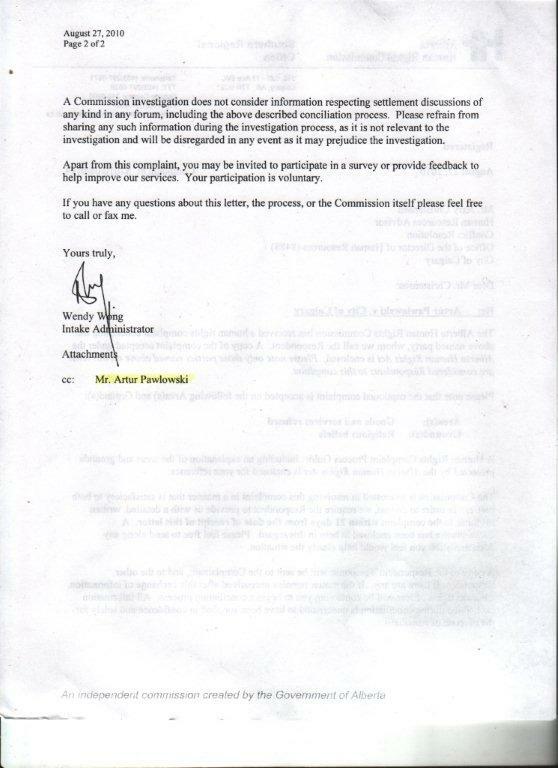 "We are encouraged that, finally, the Human Rights Commission has taken one of our discrimination complaints seriously. We filed four previous complaints, in which we clearly presented evidence of the bigotry and abuse of power displayed against Christians by government agencies, and personnel, yet they were written off. We are hopeful that this may indicate a change in attitudes toward discrimination against Christians and Christian organizations," stated Artur Pawlowski of Street Church Ministries. 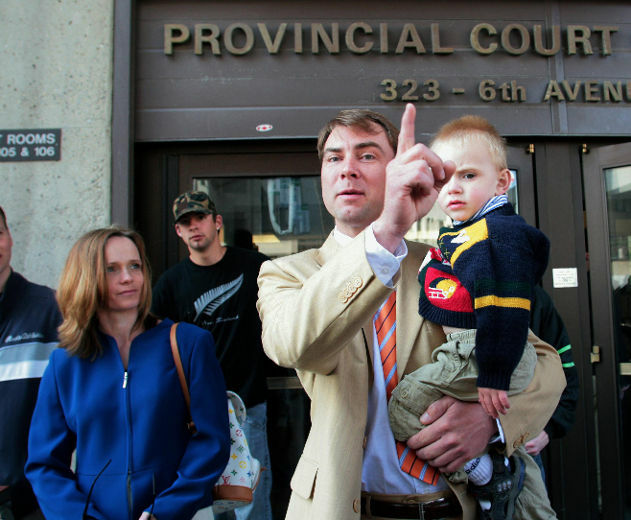 The event that caused the current complaint, took place on November 13, 2009, when Mayor Bronconnier and the City of Calgary’s Clerk’s Office denied Street Church Ministries, a charitable organization, their request to have a flag raising ceremony in front of City Hall, a request previously granted to the homosexual community just months before and carried out on September 6, 2009. The Mayor and the City of Calgary’s bureaucrats further denied a formal "proclamation" of the mayor on behalf of the Christian community to declare the month of December "Jesus Month". The reason the Mayor and the City of Calgary gave was that Street Church did not meet the criteria for either a flag raising or a proclamation of the Mayor indicating that the City does not issue proclamations for religious or spiritual leaders and neither do they raise a flag in honour of a specific religion. The City went on to indicate that they "celebrate our city’s diversity and the benefits this offers our community by enriching the lives of all Calgarians. These statements of the City, regarding the celebration of religious communities and people, have been demonstrated to be false. As a matter of fact, the Mayor, in 2004, declared the week of August 29 to September 5, 2004 "Sikh Awareness Week". The official proclamation of the Mayor was presented by Ald. John Schmal on May 14, 2004 at a dinner attended by the then premier of Alberta, Ralph Klein and approximately 400 other dignitaries and citizens. The dinner was to celebrate the quad-centennial of the Guru Granth Sahib and to celebrate the sikh holy book. This proclamation was clearly a proclamation promoting the sikh religion and was presented at an event put on to recognize a very visible and well known religious leader within the sikh community. 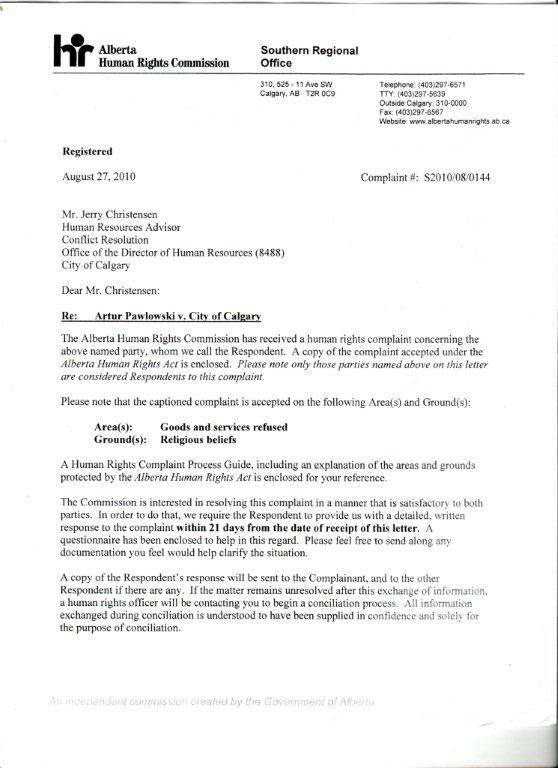 "The Human Rights Commission has, in its’ agreement to receive the complaint, recognized the fact that, from their perspective, there is merit to our case and that in fact there is an appearance of wrong doing on the part of the City and the mayor. The mayor and the City have recognized the beliefs and lifestyles of at least two groups of people with proclamations, recognizing "the benefits this offers ourcommunity by enriching the lives of all Calgarians". The City has also clearly chosen to continue this practice in that only months before our community applied for our proclamation and flag raising, the homosexual community was recognized and received both a proclamation for "Pride Month" and a flag raising ceremony at the steps of City Hall. It is obvious from any unbiased observer that the Mayor and the City has chosen to discriminate against Christians and against our beliefs, and is sending a message that Christians and their beliefs do not provide benefits to, or enrich the lives of, fellow Calgarians. We look forward to a message being sent that this kind of discrimination will not be allowed in Canada where the Charter of Rights was put in place to protect us from this kind of bigotry", stated Artur. 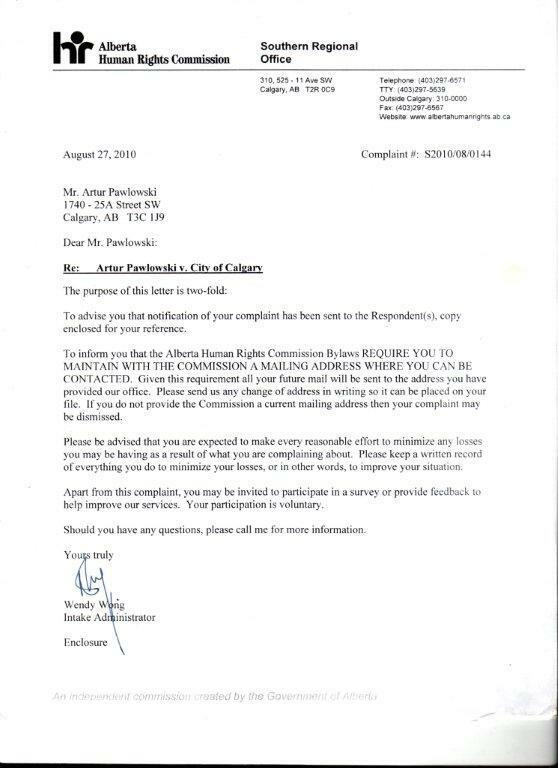 All the documents pertaining to the human rights complaint can be viewed by contacting Artur Pawlowski of Street Church Ministries at 403-607-4434 or via e-mail at art@streetchurch.ca. Click here for more supporting documentation.